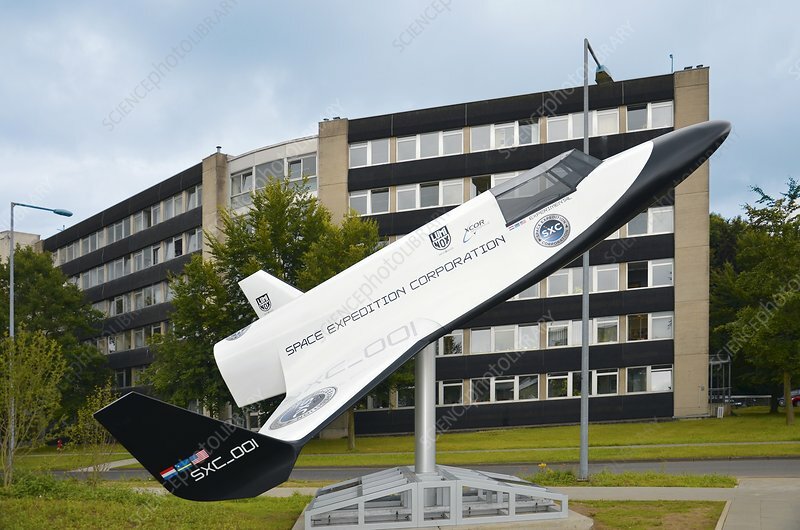 Scale model of the Lynx Mark I commercial rocketplane, outside XCOR Aerospace headquarters, Mojave, California, USA. As of May 2014, the Lynx is being developed for suborbital spaceflight, around 100 kilometres above sea level. It seats 2 people (including the pilot), and has facilities for performing on-board experiments in orbit.